In a previous section, we pointed out that dividends are taxed at the personal level. This implies that financial managers will seek out ways to reduce dividends, though a complete elimination of dividends would be unlikely for firms with strong cash flow. We also pointed out that share repurchase is a way financial managers can convey many of the same benefits of a dividend without the tax disadvantage. In this section, we consider reasons why a firm might pay its shareholders high dividends, even in the presence of high personal taxes on dividends. 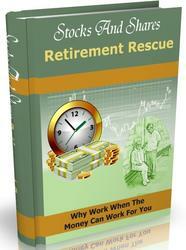 It has been argued that many individuals desire current income. The classic example is the group of retired people and others living on a fixed income, proverbially known as "widows and orphans." The argument further states that these individuals would bid up the stock price should dividends rise and bid down the stock price should dividends fall. Miller and Modigliani point out that this argument is not relevant to their theoretical model. An individual preferring high current cash flow but holding low-dividend securities could easily sell off shares to provide the necessary funds. Thus, in a world of no transactions costs, a high-current-dividend policy would be of no value to the stockholder. However, the current income argument does have relevance in the real world. Here the sale of low-dividend stocks would involve brokerage fees and other transactions costs—direct cash expenses that could be avoided by an investment in high-dividend securities. In addition, the expenditure of the stockholder's own time when selling securities and the natural (but not necessarily rational) fear of consuming principal might further lead many investors to buy high-dividend securities. However, to put this argument in perspective, it should be remembered that financial intermediaries such as mutual funds can perform these repackaging transactions for individuals at very low cost. Such intermediaries could buy low-dividend stocks and, by a controlled policy of realizing gains, pay their investors at a higher rate. We have just pointed out that investors with substantial needs for current consumption will prefer high current dividends. Gordon originally argued that a high-dividend policy also benefits stockholders because it resolves uncertainty.23 He states that investors price a security by forecasting and discounting future dividends. According to Gordon, forecasts of dividends to be received in the distant future have greater uncertainty than do forecasts of near-term dividends. Because the discount rate is positively related to the degree of uncertainty surrounding dividends, the stock price should be low for those companies that pay small dividends now in order to remit higher dividends at later dates. Dividends are easier to predict than capital gains; however, it would be false to conclude that increased dividends can make the firm less risky. A firm's overall cash flows are not necessarily affected by dividend policy—as long as capital spending and borrowing are not changed. It is hard to see how the risks of the overall cash flows can be changed with a change in dividend policy. 23M. Gordon, The Investment, Financing, and Valuation of the Corporation (Homewood, Ill.: Richard D. Irwin, 1961). Miller and Scholes (MS) argue that a two-step procedure eliminates the taxes ordinarily due on investments in high-yield securities.24 The MS strategy is as follows. First, buy stocks with high dividend yields, borrowing enough of the purchase price so that the interest paid is equal to the dividends received. The benefit of this strategy is that no taxes would be due because dividends are taxable whereas interest is deductible. 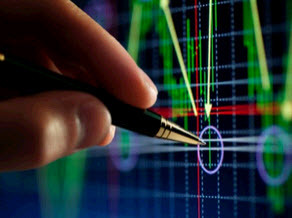 The problem with the strategy is that the resulting position is quite risky due to the leverage involved. Second, to offset the leverage, invest an amount equivalent to the debt already incurred in a tax-deferred account (such as a Keogh account). Because income in a tax-deferred account avoids taxes, no taxes are paid when the two steps are done simultaneously. If enough investors are able to take advantage of the strategy, corporate managers need not view dividends as tax-disadvantaged. Thus, only a slight preference for current income and for resolution of uncertainty among investors causes responsive managers to provide high dividends. Although stockholders, bondholders, and management form firms for mutually beneficial reasons, one party may later gain at the other's expense. For example, take the potential conflict between bondholders and stockholders. Bondholders would like stockholders to leave as much cash as possible in the firm so that this cash would be available to pay the bondholders during times of financial distress. Conversely, stockholders would like to keep this extra cash for themselves. That's where dividends come in. Managers, acting on behalf of the stockholders, may pay dividends simply to keep the cash away from the bondholders. 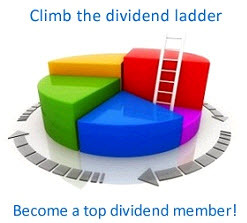 In other words, a dividend can be viewed as a wealth transfer from bondholders to stockholders. There is empirical evidence for this view of things. For example, DeAngelo and DeAngelo25 find that firms in financial distress are reluctant to cut dividends. Of course, bondholders know of the propensity of stockholders to transfer money out of the firm. To protect themselves, bondholders frequently create loan agreements stating that dividends can be paid only if the firm has earnings, cash flow, and working capital above prespecified levels. Although the managers may be looking out for the stockholders in any conflict with bondholders, the managers may pursue selfish goals at the expense of stockholders in other situations. For example, as discussed in Chapter 16, managers might pad expense accounts, take on pet projects with negative NPVs, or, more simply, not work very hard. Managers find it easier to pursue these selfish goals when the firm has plenty of free cash flow. After all, one can not squander funds if the funds are not available in the first place. And, that is where dividends come in. Several scholars have suggested that dividends can serve as a way to reduce agency costs.26 By paying dividends equal to the amount of "surplus" cash flow, a firm can reduce management's ability to squander the firm's resources. ^M. Miller and M. Scholes, "Dividends and Taxes," Journal of Financial Economics (December 1978). 25H. De Angelo and L. De Angelo, "Dividend Policy and Financial Distress: An Empirical Investigation of Troubled NYSE Firms," Journal of Finance 45 (1990). 26Michael Rozeff, "How Companies Set Their Dividend Payout Ratios," in The Revolution in Corporate Finance, edited by Joel M. Stern and Donald H. Chew (New York: Basel Blackwell, 1986). See also Robert S. Hansen, Raman Kumar, and Dilip K. Shome, "Dividend Policy and Corporate Monitoring: Evidence from the Regulated Electric Utility Industry," Financial Management (Spring 1994). Question irr------• What are the real-world factors favoring a high-dividend policy?